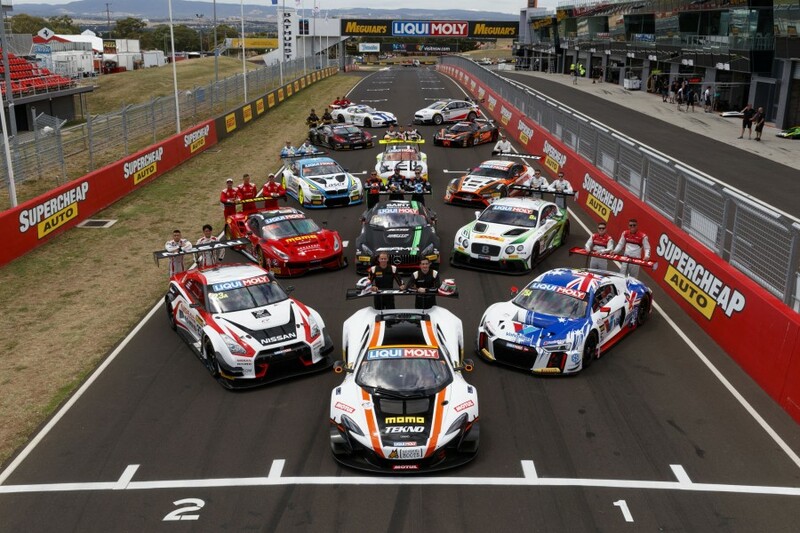 The start of the 2018 Liqui-Moly Bathurst 12 Hour is now just one month away. 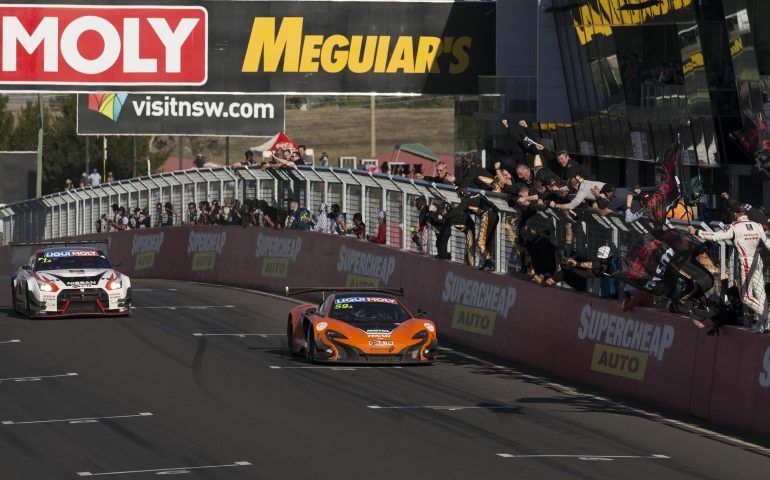 All eyes will be on Mount Panorama on February 2-4, as a host of Supercars stars take on some of the world’s best sportscar drivers in GT machinery. If it’s not already in your diary, here’s why it should be. The 12 Hour field brings together an incredibly broad and diverse mixture of cars. There's really nothing quite like it anywhere in Australia - a cacophony of sights and sounds. McLaren, Bentley, Audi, BMW, Mercedes, Lamborghini, Ferrari and Porsche are all in the mix in Class A, with sensational but unique racers. The Porsche GT3 Cup Car’s wail remains a constant in Class B, while GT4 is set to explode. There, the Porsche Cayman GT4 will go head-to-head with the stunning KTM X-Bow that returns for a second go. What’s more, several of the brand-new BMW M4 GT4 are entered to give the German brand ammo in both classes. In the Invitational class, MARC Cars Australia will debut the next generation of its purpose-built endurance racers. The 'MARC II' racers are set to be properly competitive. And then there’s the Aussie battler privateer team of the Melbourne-based Daytona Sportscars crew, who in 2018 plan to run two cars – the Daytona itself (already the fastest car ever down Conrod) and the V10 Viper it ran in 2017. Nowhere else can you see the very best drivers the Virgin Australia Supercars Championship taking on the best GT and sportscar drivers from across the globe. Bathurst is that place and showcases a) how good our guys are against the world's best and b) how good the world's best actually are! Every year the race has a stronger entry list that showcases a staggering array of the top talent from both Australia and overseas. The entry list features locals including Craig Lowndes, Jamie Whincup, Garth Tander, Shane van Gisbergen and Chaz Mostert. But what of the internationals? It's a fine bunch. Led by the likes of two-time Le Mans 24 Hour winner Earl Bamber and ex-F1 racer Timo Glock, there are factory drivers confirmed from Audi, Porsche, McLaren, Bentley, BMW and Mercedes. The list also includes more than 200 Formula 1 starts, Le Mans 24 Hours winners, DTM champions and winners of GT classics like the Spa and Nurburgring 24 Hour epics. They all want to prove themselves against the Mountain. It makes for a melting pot of talent, accents and more in Australia's most cosmopolitan racing paddock of the season. An iconic part of Bathurst’s history joined the 12 Hour weekend in 2017, and the Pirelli Shootout is back in ’18. A Bathurst Shootout never fails to excite and the 12 Hour’s first one was no different, with Toni Vilander saving his best to last to bang in the fastest time and grab pole for Ferrari in searing hot conditions. To add to the prestige, the winning team takes the Allan Simonsen Pole Award - one of the 12 Hour's most-special prizes. The qualifying record is 2:01.567s set in 2015 by van Gisbergen. It's the fastest-ever lap officially recorded at Mount Panorama. Vilander's pole time in much, much warmer conditions in 2017 during the first Pirelli Shootout came in a still brisk 2:02.954s. Who knows how fast they will go in 2018? – if it’s a bit cooler and conditions are right the sky is the limit for these incredible cars and drivers. Sub two minutes? A definite possibility - and if it happens, it will most likely be in the Shootout. The 2018 Pirelli Shootout will be broadcast live on 7mate from 4:00PM AEDT on Saturday February 3. Don't miss it. Think a 12 Hour race is boring? It's not. Not even close. Take the 2017 race, for example - one that featured a remarkable battle for the lead in the closing stages between two of the best drivers from this corner of the world. Whincup and van Gisbergen's fight for the top spot was remarkable, but there’s so much of this throughout the race every year. Spend a few minutes on You Tube searching through Bathurst 12 Hour clips and you'll get an idea that no matter if it's hour one or 11, there's always something going on! Don't let anyone tell you that this race doesn't mean anything. Don't let them tell you that these drivers and teams aren't giving their absolute all to try and win what has quickly become one of the 'majors' on the world GT racing calendar. The events in the closing stages of the 2017 race are proof of that. Van Gisbergen threw everything he had at the leading Ferrari, first in defence and then in attack when Whincup wrestled the lead away, until an unfortunate end as the car hit the concrete on the exit of the Dipper. What happened next was one of the most remarkable moments in Bathurst 12 Hour history. SVG's co-driver Maro Engel was in a particularly fired-up mood and his interview with the Seven Network's Mark Beretta was rife with tension. No follow-up question was needed. Agree with what he said or not, Engel was just one of so many people deeply passionate about winning the Bathurst 12 Hour - in every category and every class. He was suitably caught up in the emotion of another dramatic Bathurst showdown like everyone there. It means something to win this race, and everyone gives their absolute all. And that's one of the reasons it is so special. There aren’t many major races in Australia where your general ticket gets you so much access than the 12 Hour. From the back of the pits to the top of the Mountain, you can access most of the precinct with just the one ticket, while staying in touch with on-course commentary and big screens. What’s more, if you don’t want to sit on the grassed banks, there’s two ticketed grandstand options on pit straight – one of them covered. The grandstand seats provide a great view over the start finish line, pitlane and Turn 1 – and have their own big screen opposite to follow the action the rest of the lap and the race. 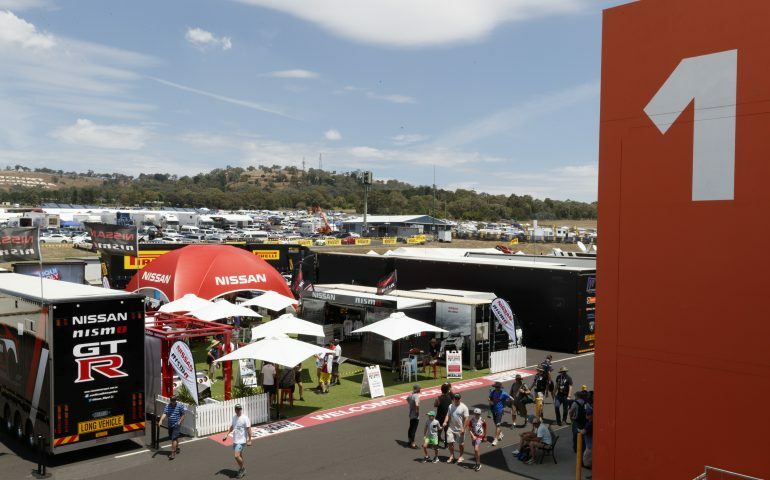 The Bathurst Camping tradition continues at the 12 Hour, with sites in the paddock or up on top of the Mountain hugely popular options (with a lot of it already sold out click here to see where you can still grab a spot!). There’s even Glamping on the top of the mountain in the 12 Hour Tent City sites, where you can have all the fun of camping with a comfy bed and more! In 2018 there will be a broader array of food and drink options, including the return of our popular Heineken Bar from ’17! Finally, every ticket gets you access to the paddock area, free of charge. 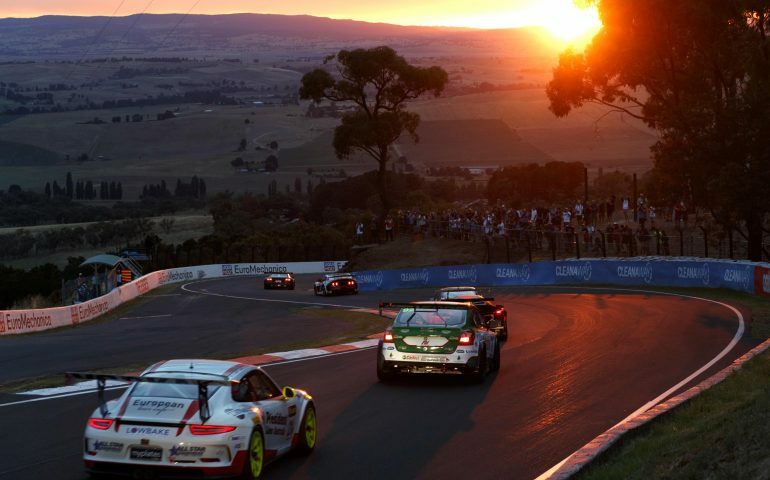 Just get yourself to the top of Mount Panorama before the 5:45am start and watch a magical hour of motorsport as the cool air greets the sunrise over the Blue Mountains towards the east. The cars spout flames, the brake discs glow and the Mountain comes alive as the race builds throughout its generally intense first hour sprint. It’s one of the most spectacular sights in all of Australian motorsport and worth the price of admission alone. For a race that lasts 12 hours, this has an uncanny knack of throwing up a particularly tight finish. In fact, across 2014, ’15 and ’16 there was 2,160 minutes of racing. The combined winning margin was 3.72 seconds. And even though the 2017 race was won by nearly a full lap, those there or watching at home will remember the dramatic final half-hour. So even though the final results sheet showed the Ferrari well clear, in reality the race was anyone's right until the final stint. Like almost every race at Bathurst these days, you just never know. Only three times out of the last 11 races has the race been decided by more than a full lap. And even in 2013 - won by the Mercedes SLS AMG of Bernd Schneider, Alex Rollof and Thomas Jaeger - the result was still anyone's right until the flag, thanks mainly to a torrential downpour of apocalyptic proportions in the final hour. The following year provided the closest ever finish in the race's history as Lowndes further enhanced his already remarkable Bathurst record by holding off a charging Mercedes to record his first 12 Hour victory. In the final pitstop, HTP Motorsport elected to put fresh pads in its SLS AMG, giving German ace Maxi Buhk the best possible chance to get past Lowndes in the race to the flag. However try as he might, there was no way past the red Ferrari as Lowndes defended stoutly at Griffin's Bend on the last of a then-record 296 laps. In the breathless finish, the Ferrari held on to win by 0.4138 seconds, still the closest ever. A year later the race winner was third when it restarted with two laps to go. Katsumasa Chiyo launched his now famous charge with one brilliant restart, passing Laurens Vanthoor's Audi before Turn 1 and Matt Bell's Bentley before Turn 2. The following year, Chiyo-san was the star again, hunting down van Gisbergen in the closing stages to reduce a 15-second deficit to just 1.2s at the flag. Was it ever in doubt for the winning McLaren? SVG's lack of stress post-race indicated that he probably had the situation under control. Still, it made for quite dramatic viewing. 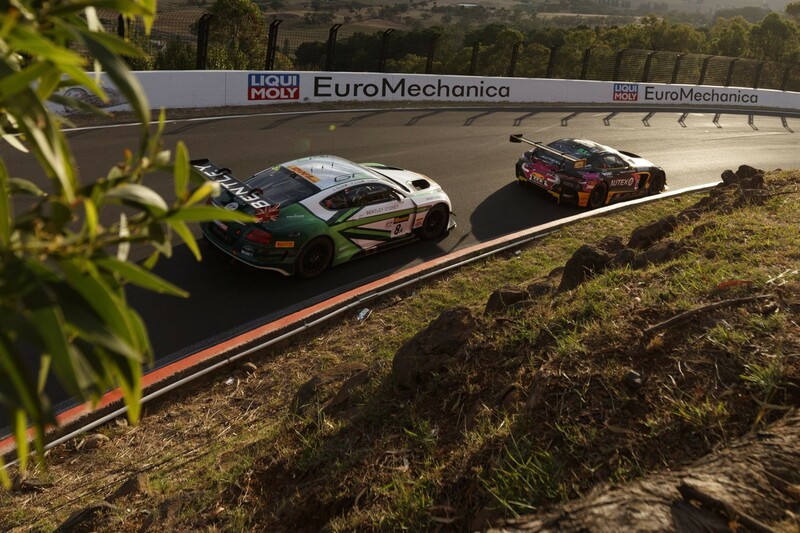 That's the beauty of the Bathurst 12 Hour: It's never over 'til it's over..